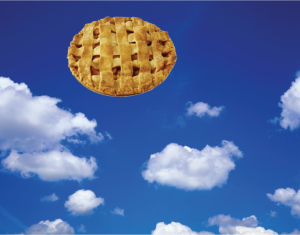 Business leaders often criticize academics as being “too theoretical.” I would like to point out a few examples of business leaders being “too theoretical.” Specifically, pie-in-the-sky theories that guide leader’s thinking and decision-making, which no diligent, thoughtful, knowledgeable, and unbiased (fact-based) academic would ever advise leaders to follow. The information they receive from people below them is accurate and reliable. Corporations exist to maximize shareholder value. People don’t play games with performance metrics. Leaders can blame people for errors with no consequences (free lunch). Employees’ knowledge is a disposable asset. Can’t do anything about organizational politics. Stakeholders (especially employees and suppliers) will not try to get even if they feel they have been taken advantage of. Lean is tools for managers’ toolbox. Lean is nothing more than process improvement and cost cutting. It is OK to marginalize the interests of certain stakeholder in favor of others (zero-sum). Metrics in use before Lean can still be used with Lean. Promotion process and reward systems in use before Lean will work fine with Lean. An organization can “become Lean” without leaders having to understand and apply Lean principles and practices every day. Here is an example: Something strange happens when I inform business leaders of practical things, such as: “Laying people off due to process improvement removes employee’s desire to participate in process improvement and kills Lean.” My advice – the same as that given by Shingijutsu consultants and Art Byrne – is often labeled by top managers as “theory.” What faulty logic is being used here by business leaders? The logic goes as follows: Bound by 1900s-era accounting way of thinking, leaders must reduce direct labor in order to reduce costs. So, processes are improved and direct labor is involuntarily reduced even though, today, direct labor is a very small part of overall costs. Meanwhile indirect labor costs increase as a result of hiring because the business is growing due to process improvement. Leaders take credit is taken for direct labor cost reduction, while costs associated with hiring indirect labor are largely ignored. But because the people who create value, direct laborers, are harmed by process improvement, their desire to participate further stalls. The indirect labor, however, continues to create colorful charts to give the appearance of improvement. Yet, costs are not reduced, which results in further reductions in direct labor. The inability to accept as practical a simple and obvious cause-and-effect relationship such as, “Laying people off due to process improvement removes employee’s desire to participate in process improvement and kills Lean,” assures Lean failure. How many other simple and obvious cause-and-effect relationships are not accepted by leaders? Boss, it’s time for some new theories. Your theories just aren’t practical. Facts do not cease to exist, because you do not believe in them. “Don’t just be a collector of facts; try to penetrate to the secrets of their occurrence, persistently search for the laws that govern them.” Ivan Pavlov.